"Since the invention of the laser, spontaneous light emission has been looked down upon in favor of stimulated light emission," says Eli Yablonovitch, an electrical engineer with Berkeley Lab's Materials Sciences Division. "However, with the right optical antenna, spontaneous emissions can actually be faster than stimulated emissions." "With optical antennas, we believe that spontaneous emission rate enhancements of better than 2,500 times are possible while still maintaining light emission efficiency greater than 50-percent," Yablonovitch says. "Replacing wires on microchips with antenna enhanced LEDs would allow for faster interconnectivity and greater computational power." The results of this study are reported in the Proceedings of the National Academy of Sciences (PNAS) in a paper titled "Optical antenna enhanced spontaneous emission." Yablonovitch and UC Berkeley's Ming Wua are the corresponding authors. Co-authors are Michael Eggleston, Kevin Messer and Liming Zhang. In the world of high technology lasers are ubiquitous, the reigning workhorse for high-speed optical communications. Lasers, however, have downsides for communications over short distances, i.e., one meter or less - they consume too much power and typically take up too much space. 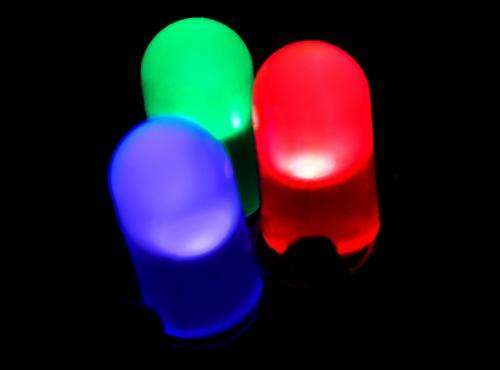 LEDs would be a much more efficient alternative but have been limited by their spontaneous emission rates. "Spontaneous emission from molecular-sized radiators is slowed by many orders of magnitude because molecules are too small to act as their own antennas," Yablonovitch says. "The key to speeding up these spontaneous emissions is to couple the radiating molecule to a half-wavelength antenna. 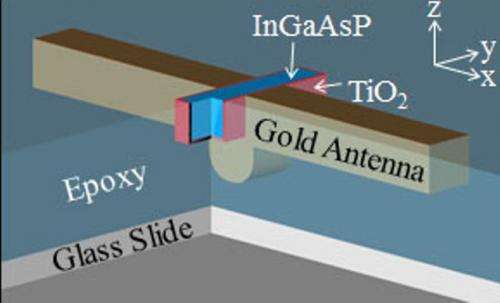 Even though we've had antennas in radio for 120 years, somehow we've overlooked antennas in optics. Sometimes the great discoveries are looking right at us and waiting." How do the residual effects of resonating frequencies at these scales not express some form of galvanic corrosion over time? I wonder at the useful working lifetime of these devices.